During the departure from the city, you will see the huge Duty Free zone. There is a great variety of stores here. Everyone is able to purchase alcoholic drinks, cigarettes, tobacco and cigars, perfumery and makeup preparations, jewelry, technical equipment, video and audio facilities, souvenirs and gifts, books and toys. 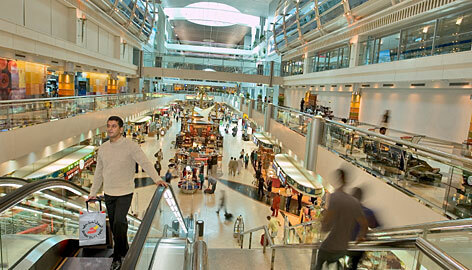 Besides, different kinds of lottery and drawings are carried out in Duty Free Dubai. Getting Millennium Millionaire lottery ticket, one can win one million dirham, 5000 tickets take place in this drawing. The export limit per man is 2000 cigarettes, 400 cigars, tobacco 2 kg, 2 l of strong alcoholic drinks plus 2 l of wine, perfumery within reason.